The second downloadable content pack for Call of Duty: Advanced Warfare, Ascendance, will be available on Thursday, April 30th on PlayStation Network for both PS4 and PS3, and on PC. Ascendance DLC brings four new multiplayer maps, Exo Zombies Part Two: Infection, and the OHM / Werewolf 2-in-1 LMG/Shotgun weapon. 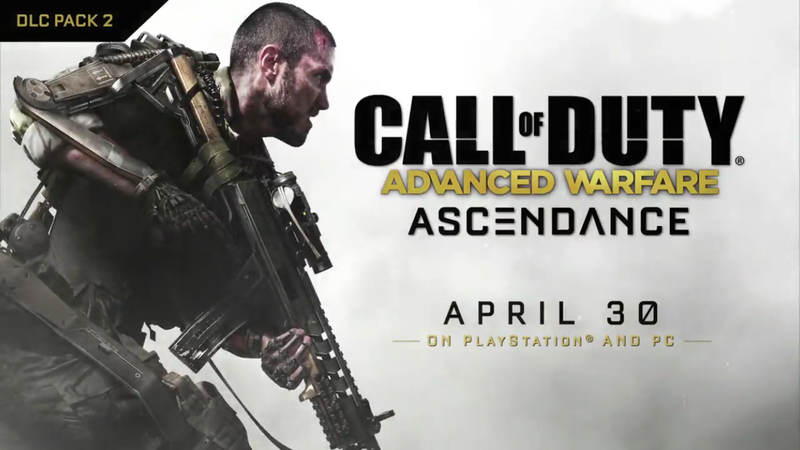 Ascendance, the second massive DLC pack for Call of Duty: Advanced Warfare, is coming to PlayStation 4, PlayStation 3, and PC on April 30. 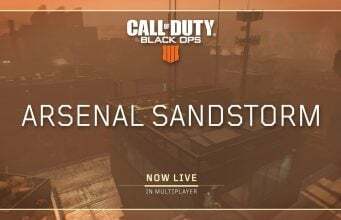 The definitive DLC package, with its four new thrilling maps, the formidable OHM, a 2-in-1 directed energy light machine gun/shotgun, the OHM Werewolf custom variant, and the all-new Exo Grapple ability and playlist delivering a faster way to reach strategic vantage points or a brutal secondary weapon to take down the competition, exclusively on Ascendance maps. Part Two: Infection: Four Atlas employees, portrayed by the returning celebrity cast of John Malkovich (In the Line of Fire, RED, Burn After Reading), Bill Paxton (Aliens, Titanic, Edge of Tomorrow), Rose McGowan (Planet Terror, Scream), and Jon Bernthal (Fury) fight tooth and nail through undead zombie hordes. Located on the outskirts of an Atlas facility, the new Exo Zombies episode introduces a slew of never-before-seen undead masses, a robust arsenal of new traps and armaments and everyone’s favorite fast food joint, Burgertown. Check out the trailer here. OHM directed energy hybrid weapon can switch between an LMG and Shotgun on the fly. Also included is the OHM-Werewolf custom variant. In addition, for PlayStation 4 gamers in North America, if you preorder the DLC on the PSN Store, you will get an exclusive theme. You can preorder Call of Duty: Advanced Warfare Ascendance DLC now on PlayStation 4 HERE. Call of Duty: Advanced Warfare Ascendance DLC is available now on Xbox Live and coming April 30th to PSN/PC.